Osteoporosis is a disease of thinning of bone tissue and loss of bone density in the human body. Osteoporosis mostly affects women. Even affluent countries like the United States also has the highest percentage of people with osteoporosis. Approximately 10 million American women currently have osteoporosis and 34 million more women at risk of osteoporosis. The main cause of osteoporosis is a decrease in estrogen in women at menopause and decreased testosterone in men. This causes the body fails to form new bone when old bone has been destroyed by the body. The body desperately need the mineral calcium and phosphate to form normal bone. When a young age, the body uses these minerals to produce bone mineral. Bone production will be disrupted if the body does not get enough calcium or the body can not absorb calcium. But when older age, calcium and phosphate to be absorbed back into the body of the bone, causing the bone tissue becomes weak. This can lead to brittle bones, even without the injury was a fracture could have occurred. 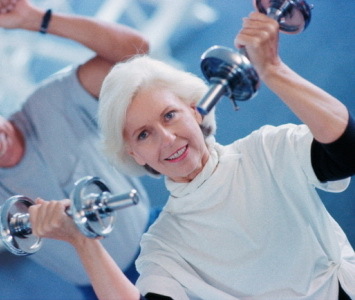 With the high rate of patients with osteoporosis is now, of course, early osteoporosis prevention measures is needed. Fortunately recent research by Dr. Daemon Jones has found an effective way to prevent osteoporosis. No need to be confused to find the nutrient intake, since almost everything is already contained in the food drinks daily and does not require additional supplements. Among the dairy, green vegetables, fish and products fortified with calcium. Prevention of osteoporosis is important done early. Because according to the doctor, prevention is better than cure. Hopefully useful.